Masha Gordon wasn’t sporty as a girl and has spent most of her adult life working behind a desk as a successful businesswoman. She only discovered her love of mountaineering on maternity leave in her thirties. 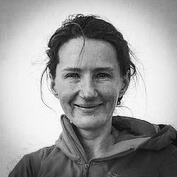 But on June 11, 2016, the mother-of-two has entered the world record books as the fastest woman in the world to complete the Explorers’ Grand Slam in just 7 months and 19 days. 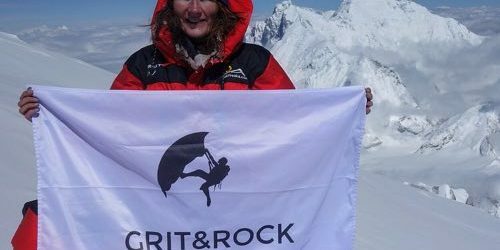 On June 17, 2016, she set a second world record and entered the Guinness Book of Records as the fastest female to climb the Seven Summits in 238 days. The Explorers Grand Slam is the ultimate endurance challenge. Not only did Masha have to climb the Seven Summits – the highest mountain in each continent – she also had to trek on skis to the North and South Poles, too. Masha’s attempt to set a women’s record of under eight months made the challenge significantly tougher. She spent over 100 nights under canvas, survived temperatures below -40°C and exposed herself to the ‘death zone’ – the altitude above 8,000 feet where there’s not enough oxygen for humans to breathe. Why did I take up a world record endurance challenge? 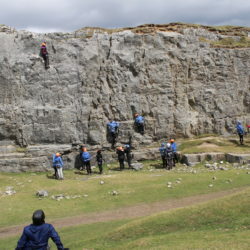 With my challenge I wanted to inspire girls – like my eight-year-old daughter Freya – to take up mountaineering and outdoor activities, which are fantastic ways to develop leadership, perseverance and self-confidence. That's why I have launched a charity – GRIT&ROCK – to encourage inner city teenage girls to challenge themselves, increase self-confidence and help those in deprived areas develop love for active lifestyle. FOLLOW THE JOURNEY Masha’s challenge will take her to the seven highest summits in the world as well as both the north and south poles. Find out more about each stage in the journey using the world map on the left or the chart below. SOUTH POLE DEC 15, 2015 STAGE 3. DEC 15, 2015 SOUTH POLE ANTARCTICA. 90°S ______________ Antarctica is a vast wilderness, 58 times the size of the UK. The South Pole sits at the heart of it, marking the earth’s axis. NORTH POLE APR 19, 2016 STAGE 7. APR 19, 2016 NORTH POLE ARCTIC. 90°N ______________ Situated in the deep Arctic Ocean, the North Pole has no permanent marker due to constantly drifting sea ice. VINSON DEC 5, 2015 STAGE 2. DEC 5, 2015 VINSON MASSIF ANTARCTICA. 4,892m _______________ The most southerly peak of the seven summits is also the coldest, with temperatures as low as -70°C. DENALI JUN 11, 2016 STAGE 9. JUN 11, 2016 DENALI N.AMERICA. 6,190M ______________ The most northerly of the seven summits, Denali is home to some of the worst weather conditions in the world. EVEREST MAY 19, 2016 STAGE 8. MAY 19, 2016 EVEREST ASIA. 8,848m ______________ 100mph winds, vast glaciers and a high risk of avalanches combine to make this the toughest of the seven summits. CARSTENZ MAR 4, 2016 STAGE 5. MAR 4, 2016 CARSTENZ AUSTRALASIA. 4,884M ______________ The near-vertical slopes of the Carstensz Pyramid rise tall above a hot and humid jungle environment. ELBRUS MAR 10, 2016 STAGE 6. MAR 10, 2016 ELBRUS EUROPE. 5,642M ______________ Situated in the Caucasus range in Russia, Elbrus is a dormant volcano and the highest peak in Europe. ACONCAGUA JAN 31, 2016 STAGE 4. 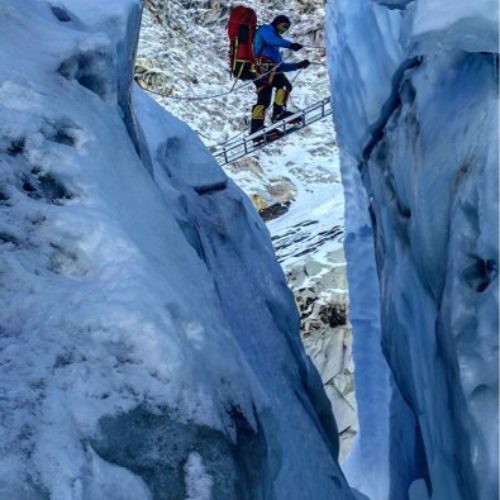 JAN 31, 2016 ACONCAGUA S.AMERICA. 6,962M ______________ The tallest peak in the world outside of the Himalayas, Aconcagua’s height means oxygen at the summit is limited. KILIMANJARO OCT 22, 2015 STAGE 1. OCT 22, 2015 KILIMANJARO AFRICA. 5,895m ______________ Located near the equator, ‘Kili’ features five distinct climate zones – from the hot and arid base to an arctic summit. Want to see more? View all. The number of calories Masha burnt every day on her way to the poles. The lowest temperature Masha endured in three weeks of polar travel. 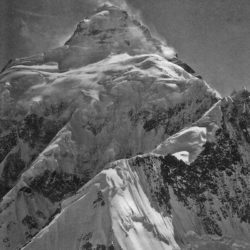 The number of days Masha spent in the death zone during her ascent of Everest. The nights Masha has spent in a tent preparing for and during the challenge. The number of kilometres Masha travelled by skis to reach the two poles. Whatever your fitness, you can start. You just need sturdy footwear, warm waterproof clothing and a map and compass. Indoors or out, there are plenty lots of options for beginners. You don’t even need a head for heights to try indoor bouldering. The most important requirement for an outdoor adventure is an imagination. Alastair Humphreys has loads of great tips.